Google, Amazon, Starbucks… Big names referring to big companies with big consumer bases and above all big profit margins. Thinking about profit margins one thing that pops right into your mind is usually big profit margins mean high taxes. This is true for most firms, but apparently not for Starbucks and other big US corporations. Did you know that Starbucks pays only 13 % in taxes to Germany? During the last two years Starbucks made a profit of about 10 million Euros in Germany and would have been supposed to pay 3.4 million in taxes. But instead they only accounted for 2 million Euros in revenues and thus had to pay only 870.000 Euros in taxes. Well done Starbucks, well done. How can it be that a company with about 9 billion USD revenue per year and 1,527 coffee shops in Europe, does not pay taxes at all or just very little? You have got to be very clever or you have got to have a lot of money on your hands to afford the best accountants in the world. Starbucks is very clever as they invested the money they had into a group of accountants. A group of the best accountants of the world. Google and Amazon have also done the same thing. Those accountants know the system like the back of their hands. Those accountants know every single loophole in all parts of the world and thus make it possible for big businesses to pay only little to none taxes. Small businesses unfortunately cannot afford the services of those accountants and therefore fall by the wayside. German readers can inform themselves here. Should we boycott those companies now? Well for me personally this would be impossible. I search the web with Google every single day. I place all my orders at Amazon and I cannot imagine a world without a good old Mocca Frappuccino. Other than that people who pay their taxes properly would be affected in a bad way. If we boycott Starbucks we would automatically boycott small businesses that run their coffee shops as Franchises and pay their taxes properly, which would then destroy their businesses. George Osborne , British Chancellor of the Exchequer, states that they want competitive taxes that say Britain is open for business and that attract global companies to invest in and bring jobs to our country, but that they also want global companies to pay those taxes. The voices asking for a common European law on taxes are becoming louder and louder. Having a common tax law in the EU would make it almost impossible for big US corporations to find loopholes where they can avoid paying taxes. There is nothing left for us to do but to wait and see how the situation develops and to see whether Europe can finally come up with a common tax law. However, I’m pretty sure, once they come up with a tax law, the accountants for the big corporations will find other loopholes anyways. I mean, that’s what they’re paying them for, right? it’s me, your coach, caya! well done! you chose a quite interesting topic! it’s pretty shocking to me that these huge firms achieve profits to the amount of billions and pay only little or none taxes. after reading your completed post, some thoughts came into my head, that i didn’t take into account when you showed it to me the first time. 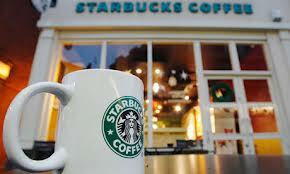 1. what is the usual regulation on the taxes in germany (for starbucks)? it depends on how high the turnover is? 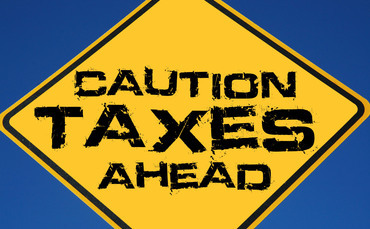 2. it’s still unbelievable for me that these “tax tricks” are legal and no criminal act. 3. have you heard of a common law on profit taxes in europe that might be released in the future? 1. yes, the tax rate does depend on how high the company’s profit is and thus i cannot exactly tell you how much it would be. 2. i know it is unimaginable that this is legal. sad but true! wow that is so interesting! thank you! After reading your post, I’m proud to say: “YES, I CAN…”..find answers for all your questions which – by the way- affected my mind when I first scanned your post. I absolutely agree with you: if I have a question, the first ‘person’ I would ask is not my professor or my friends: unfortunately it’s Google! As you can see you’re not the only person who is independant of that machine. Your opinion matters and so I was really surprised that you are one of the first bloggers of our group who announce your statement and arguments so proud and focussed. plus, i followed your links – they give a lot of interesting info for further reading…you used up-to-date sources: websites, other (wordpress) blogs, current videos about this topic!